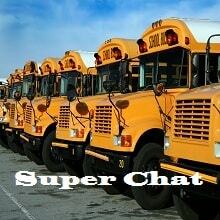 Ripley County Community Foundation was recently featured in the February Super Chat – Batesville Community Schools. KSLA Student Training was held last month. Every January, there is a leadership day where 30 students are able to learn from several professional resources. This year it was held at Hill-Rom. Amy Streator, RCCF executive director, spoke to students on how to present your organization, yourself and your ideas to help students as they begin entering the workforce. She also talked about scholarship opportunities and emphasized the importance of passion and hard work to attain success.